A simple two part casing for a product developed by local tech company SORELTECH. The Fortin Discovery Lab provided 3D printing for early prototypes as well as incorporating a visual product identity for future in-house low volume runs of the product. This product also has made use of our environmental testing capabilities to confirm that the cases can withstand the various environments it will be subject to as a result of it’s diverse implementations. 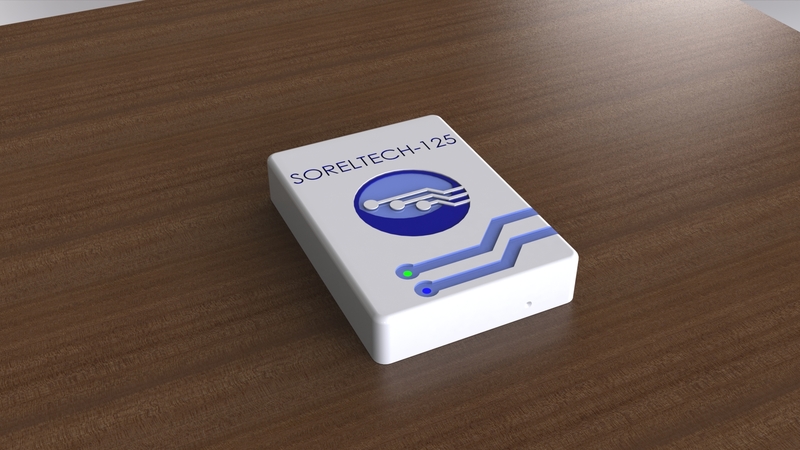 Designed as a general RFID Controller, the SORELTECH-125 has a wide variety of applications including Door/Gate Access, Vehicle Interlocks and Proximity Detection among others.